© Dennis Chua. All rights reserved. The Dawes Arboretum is a beautiful nature preserve less than an hour away from metro Columbus, Ohio. I visited the arboretum to scout for a maternity photo shoot. Along with my DLSR camera, I toted my Bronica ETRS loaded with Across 100 120mm film. 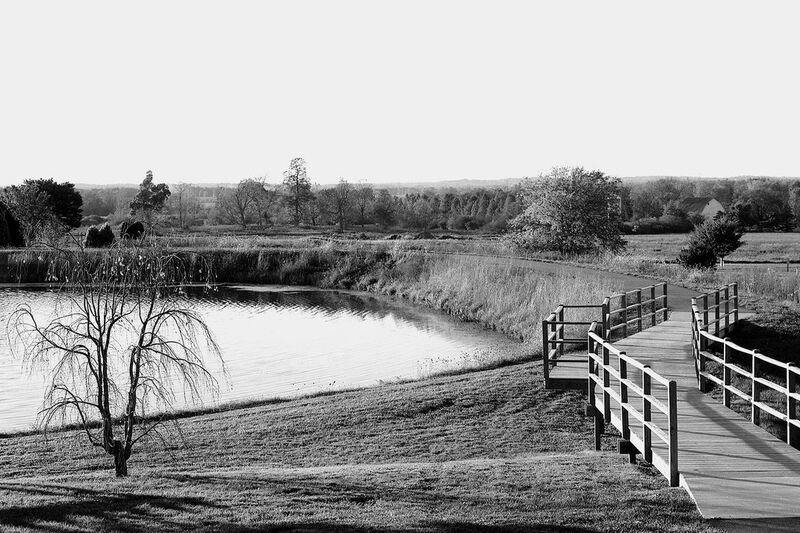 Right before the arboretum closed, the sunset angled across this pond and the encircling boardwalk as well as across the rural landscape that stretched towards the horizon. Autumn was at its peak, and whatever colors were lost in the black and white emulsion stood out in the shadowy contours of the countryside. It was peaceful. I’m glad I had a moment to enjoy it. Date Uploaded: Nov. 1, 2017, 10:56 a.m.